There are a variety of tools every car owner should have at their disposal. This is especially true for those of us who are looking to dip our toes in the wonderful world of automotive mechanics! It’s no surprise that more and more people are choosing to do simple jobs on their own cars. It’s a great way to save time, money, and feel accomplished. There’s nothing like a good day of hard work and a car in working order to show for it! Knowing how to handle your own car, and its inner workings, makes you feel both savvy and skillful. Even in an emergency situation you know how to handle things and can rely on yourself to save the day. Who doesn’t love being their own hero? One of the most important tools to have in your arsenal is the torque wrench. 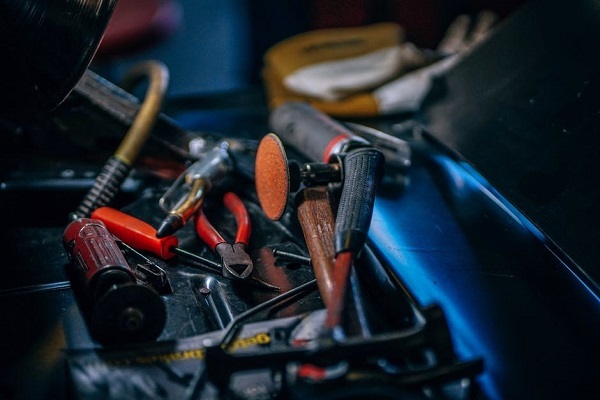 Surprisingly to some, there are several different types of wrenches, and all of them serve entirely different purposes. You’ll need a good set of several types in order to start performing maintenance on your vehicle. The torque wrench, in particular, is great for a great many jobs! 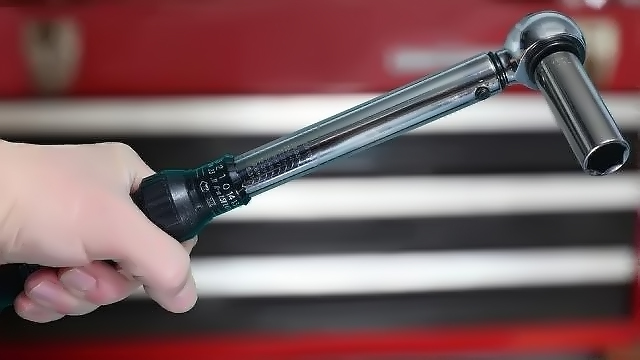 You can use a torque wrench on all sorts of parts in your car, from the engine to the breaks. 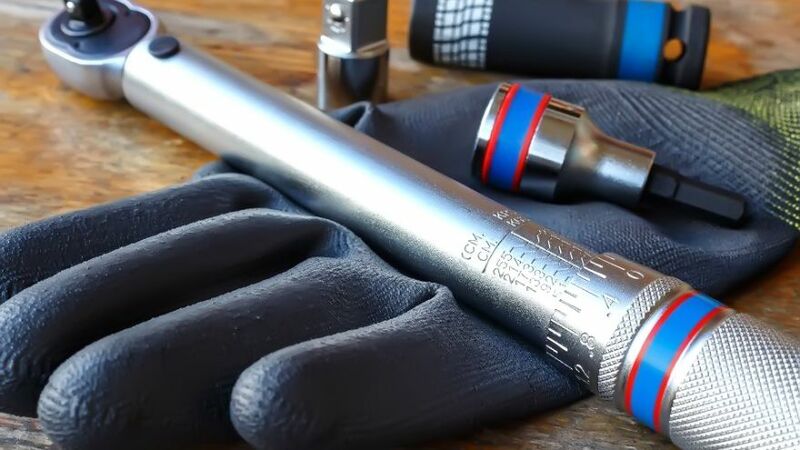 In this article, we’ll explain what a torque wrench is, exactly, and how you’re going to put it to use. We’ll also talk about how to interpret the readings, and the units used to measure torque. Don’t have a torque wrench or any other type of wrench for that matter? That’s totally fine. If you’re looking to expand your collection and need a few pointers be sure to check out our product lists! We have a large selection of the best items out there for your convenience. Forget having to search the web for information and advice. Not only do we include the top ten products the internet has to offer, but we also provide some pieces of criteria and answer frequently asked questions. This gives you everything you need to find your perfect fit. So, What’s A Torque Wrench? A torque wrench is used for a wide swath of reasons. Namely, it is used to apply both precise and specific amounts of torque. What this means is that it prevents many common problems that overtightening can cause. It also is able to help you remove nuts and bolts. They’re put on pretty tightly- and with good reason! A good bolt is pretty tightly twisted on, and so you might need the extra leverage to help you. It’s also used widely for tightening nuts and bolts as far as you can without having them break. The torque wrench is truly a tool to behold! It makes changing a tire so much easier since lug nuts are, of course, sealed into place pretty tightly. Worried about getting them tightened back up when you’re done? You won’t when you’re able to tighten them up with absolute precision. This puts pretty much everybody onto an even playing field since it allows for less force to remove tight parts, too, which is great for those who might otherwise struggle with the task. It’s of the utmost importance that you know how to use any given tool properly. Sometimes it can be easy to forget how dangerous cars can actually be. After all, we use them on a daily basis and become pretty accustomed to being around them. Don’t allow yourself to be lulled into a false sense of security. You need to understand how accidents happen, and how to avoid them when you decide to do your own automotive work. Even during simple jobs the wrong move or the improper use of a tool can put you at risk. This is why understanding how to use a tool, and not just what it does, is so important. The torque wrench is no exception. We stress the importance of understanding how it’s used, specifically, actually. You’ll use this device on your engine, tires, brakes, and more. These essential elements can mean big trouble if any of their bolts break. However, this is also what makes the torque wrench so great for this work. If you use it correctly and pay attention to what you’re doing, you end up in a much safe situation overall! 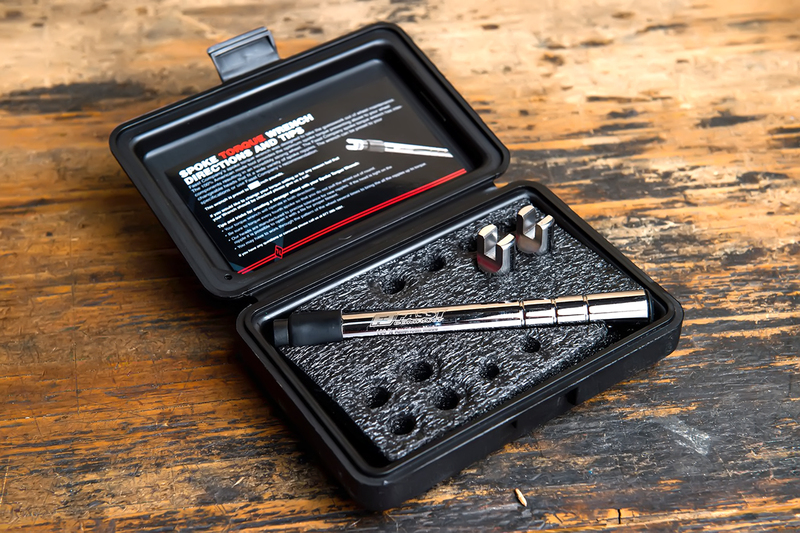 The accuracy that the torque wrench grants better assurance that things have been tightened correctly. This is a pretty basic list, and usage will depend somewhat on what you’re doing. In general, this is what you’ll do across the board, however. Right now we’re going to assume this is for a tire change since that is what most people across the board will be using this for. 1. Unbox your new toy, and look it over. Familiarize yourself with it and play around a little bit! Now is the time to get acquainted before you begin usage. Look at the material that the wrench comes with, as well, making sure to keep the instructions handy in case you have any brand-specific questions. 2. Now you’re ready to begin! Figure out what you’re trying to do, and then you can start the process. The first step is to consult your owner’s manual to see what they recommend for the amount of torque. This torque specification will be your guide. Set the torque wrench to one-half this recommendation. You can do this by rotating the knob at the end of the handle counter-clockwise. This will loosen the wrench, which allows you to rotate it to your preference. 3. Place the lug nuts on by hand. Carefully spin them into place. Please note that using grease, or other slippery coatings, is a no-no. It might seem counter-intuitive, but be sure to avoid using lubrication during this process. 4. After this, you can lower your jack until each tire touches the ground. Use your torque wrench to tighten each of the bolts to one-half of the specified torque we talked about earlier. 5. Now you’re able to fully lower your car and finish tightening each of the nuts to the full amount of torque. 6. Once you’ve finished you can dial back to zero. Do not dial it below zero, and make sure you land exactly on that number. Also, remember to clean your torque wrench! It’s crucial that every tool you use is cleaned after usage, and this device is no exception. Did you know? Over-tightening is the number one cause of warped rotors! This can be dangerous since it increases your stopping distance and can cause pedal pulsation. So, you know the basic steps to use the torque wrench. But what is “recommended torque specification”? And, how do you understand what those numbers on the dial mean? While this will also be explained in the manual the tool comes with, we’re going to lay it down in some simple terms to help you get a better handle on this topic. First off, the recommended torque specification is simply what torque you should set your wrench to. It’s what the manufacturer believes is the best number for the job. This will be what you go by. There are also charts online you can find that can further help you decide which setting will be best for the task at hand. Now, look at the handle closely. You’ll see horizontal lines which have numbers next to them. These are the magic numbers! One side will show foot-pounds (ft-lbs), and the other side is in Newton meters (Nm). These seem pretty overwhelming, sure, but you’ll find that they’re pretty easy to understand! They’re just two different units you can use to measure torque, and nothing to balk at. We’re confident that you’ll be a pro in no time! The dial is the main scale. This “main scale” represents the amount of torque that the wrench is currently set to. They round this to the nearest ten. So, now you need to actually pick your setting. No problem! It’s a breeze! You’ve already discovered what the numbers mean, so now it’s time to put them to use. Turn the handle, and begin adjusting the settings. You will increase the torque by turning the knob clockwise, and to decrease it you will turn it counterclockwise. Notice how the handle will move up and down as the numbers on the micrometer (the numbers wrapped around the handle) rotate. By turning this handle you are affecting the main scale and the micrometer scale. Feel free to play with it a little to get comfortable reading the numbers, and to fully understand the mechanisms involved. Line up the vertical line on the micrometer with the vertical line that runs between the measurements on the shaft. Once you have your desired setting achieved turn the knob at the end of the wrench clockwise to tighten the wrench. This will finalize the setting on your wrench! Once the wrench is in use all you have to do is listen for the “click!” that will sound once the torque has reached the specified setting. Once you hear that click you’re all done! It’s really as easy as that! See? There’s no reason to not have a torque wrench and even less reason to be overwhelmed by the thought of using one. You’ll get the hang of it in no time and then wonder how you ever lived without one of these little tools that make all the difference. Please note that you’re going to need to calibrate your tool every time you use it for a different task. Again, refer to the manual of whatever you’re using it on to find what torque you should be using. Another important detail is tool care. We want you to be able to both clean, and store, your tool properly. This goes an incredibly long way in extending the life of your torque wrench, making sure you can use it for years to come. For starters, there are several different ways to store a tool. Some of the products will come with an organizational system provided by the manufacturer. We do recommend looking for products which do since it can save you a lot of hassle and money. You need to be able to pack up easily when you’re on the go, and to know if a tool is missing right away and if so, which one. There are several different storage units on the market, however, if you need one. There are even tool bags, or toolboxes, which come with specific slots for specific tools. These are the best since they give you an accurate idea of where tools are located in an instant, and they also keep your most likely very expensive collection from rattling around. As for cleaning, there are, again, several ways to go about it. It’s recommended to clean your wrench after each usage since automotive work is almost always dirty. At the very least you should spray off the majority of grime with a hose, or under a faucet. If you can find the time to sit down weekly and clean them thoroughly, all the better! Just make sure that you are, at some point, making the time. There’s no point in sinking a ton of money into an investment you aren’t willing to keep up with!